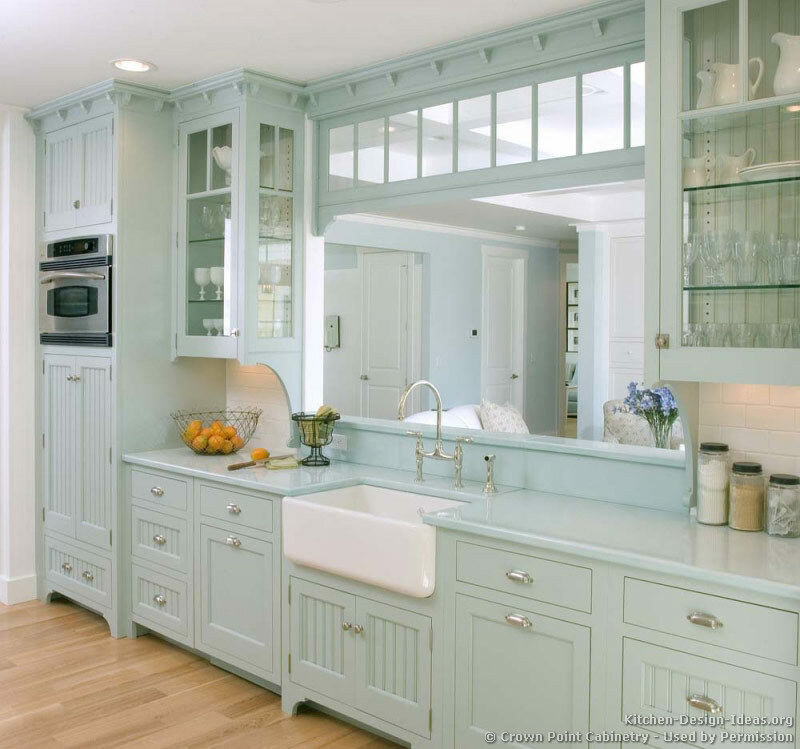 Victorian Blue: This is a picture to remember -- a beautiful light blue Victorian style kitchen with framed inset cabinets built by Crown Point Cabinetry. The white apron-front farm sink with a bridge-style faucet gives the room a country-style charm, along with tastefully placed beadboard panels. The matching blue countertops blend perfectly with the cupboards and sit nicely against the white subway tile backsplash. Finally, the glass cabinets, satin nickel hardware, and light hardwood flooring all come together to make this a delightfully bright and beautiful kitchen. More Pictures: Click for many more photos of this incredible kitchen, which is located in the blue kitchens gallery. Be sure to flip through the fascinating photos in the Victorian Kitchens gallery as well.